GoCo allows you to create custom fields so you can add additional information that you would like to gather and have saved in GoCo. These fields can be filled in by the admins, employees, or both! Some examples of custom fields are computer tracking, license numbers, t-shirt sizes or food allergies. 2. Under Custom Fields, you can manage an existing custom field or add a new one by clicking +Add Custom Field in the upper right corner. You can also +Add Section if you want to sort or categorize your custom fields! 3. Add a custom field. See below for a description of all the options. Description: What the person filling out the field will see. You can format this as a question or a statement. Who fills out this field? Team Members, Admins, or Team Members and Admins. You can decide if you want to give the employees the ability to change the field at any time. 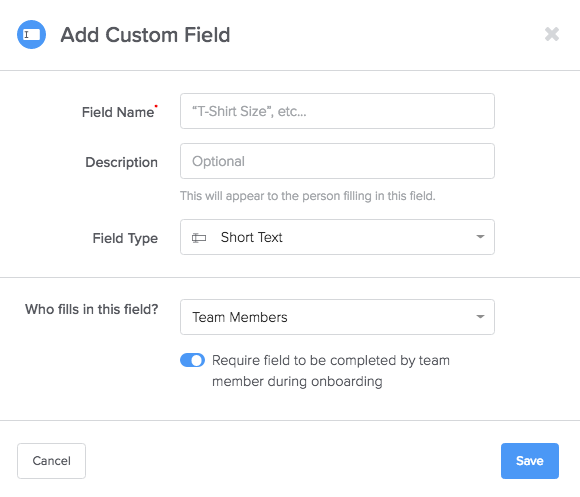 Require the field to be filled out during onboarding. 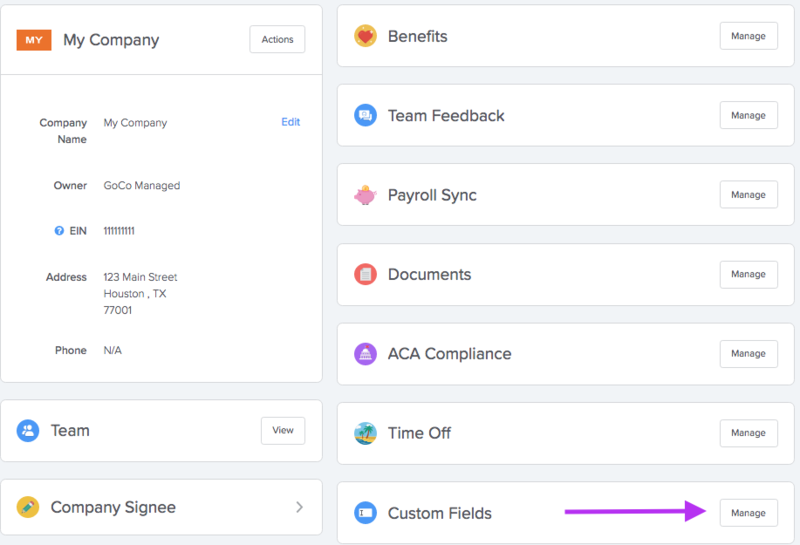 You can choose whether this custom field will prompt for an answer for each employee onboarding onto GoCo. 4. Enjoy your new custom field! To learn how to pull a report on your custom field data, click here.